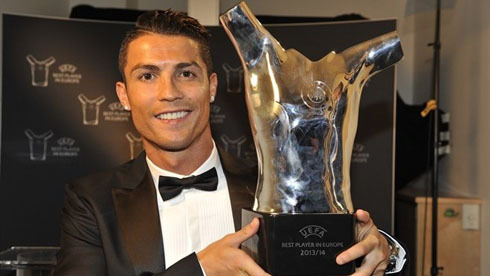 ﻿ Cristiano Ronaldo: "In my head, I always think I'm the best player"
28.08.2014 » Cristiano Ronaldo: "In my head, I always think I'm the best player"
In an interview released just a few hours before we knew Cristiano Ronaldo had won the UEFA's Best Player in Europe award for 2013-14, the Portuguese star talked about Real Madrid's journey to winning their 10th Champions League and how he overcame an injury that threatened wrecking his chances of still giving his contribute in the decisive stages of the season. 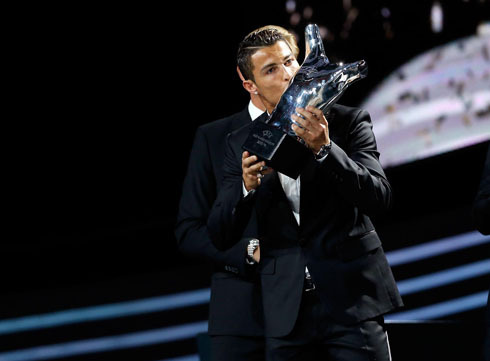 For the first time in his career, Cristiano Ronaldo won the UEFA Best Player award (2013-14), following his remarkable season last year where he scored 17 goals in 11 appearances in Real Madrid's successful journey in the Campions League. 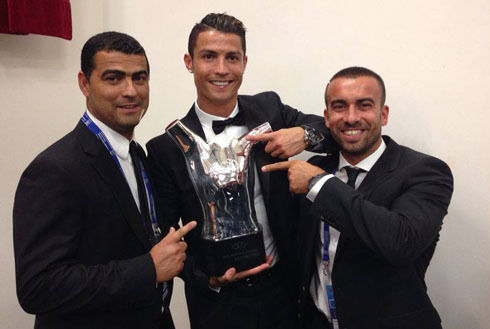 The Merengues' campaign only ended with the club bringing home the 10th European champions trophy in their history and Ronaldo breaking the top scorer record that previously belonged to Barcelona's main man, Lionel Messi. 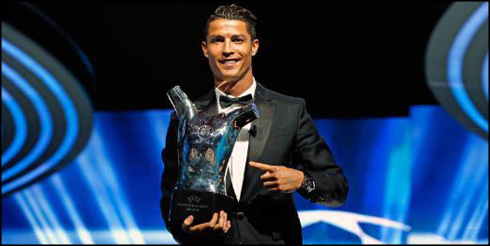 This Thursday and before we got to know that Cristiano Ronaldo had won this individual award, Marca.com published an exclusive interview with CR7, in which the 29-year old discusses his rivalry with Messi, the struggle he had during the time he was injured last season and how he rates the current Real Madrid squad, after all the departures and signings in this transfer window. Journalist: "In 2006 [8 years ago], you said you were working hard every day in order to become the best player in the World. You've won the FIFA Ballon d'Or twice since then. What's your main goal now?" CR7: "I want to keep being the best. I didn't change anything in regards to my work ethics. I approach everything in the exact same way and I want to be the best in every game and competition I'm in. 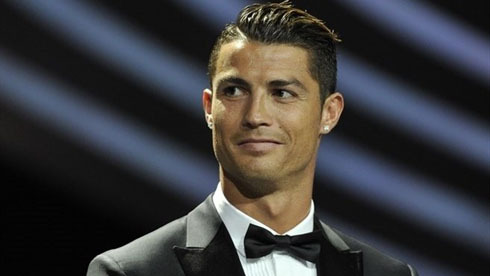 In my head, I always think I'm the best player in the World", started by stating the Portuguese forward. Journalist: "After a truly impressive series of games last season, you ended up getting injured in your knee in a delicate moment of the year. Do you think you forced too much in order to be able to play in the Champions League final in Lisbon and in the World Cup for Portugal?" CR7: "Obviously, I did force a bit by playing injured in a few important games last season. If I had stopped and rested back then, I would probably be totally fit by now. It wasn't an easy decision, especially after such a great season we were having. I wasn't at my best, but I decided it was worth the risk and fortunately, it turned out well club-wise, since we won the Champions League and I still scored a goal in the final. Winning La Décima was special for everyone here at the club and I'm glad I did all I could to help us reaching that dream. 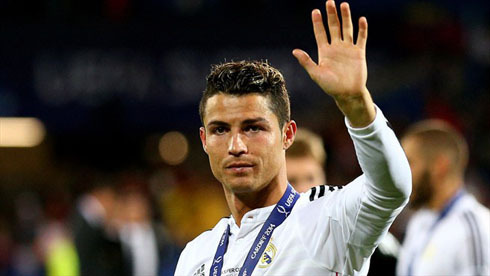 As for the World Cup, it was a bit more complicated because things didn't exactly go our way right from the start and unfortunately, we can't always make a difference", commented Ronaldo, when reviewing a particularly difficult period from last season, for both Portugal and Real Madrid. CR7: "Everything that happened before and after my injury has turned into a lesson to me. However, I don't regret having taken the risks I took to defend the colors of Real Madrid, which is the club that pays my salary and that has always been there for me, and obviously Portugal, my nation..."
Journalist: "Did you feel during any point of last season that you could be risking you footballer career?" 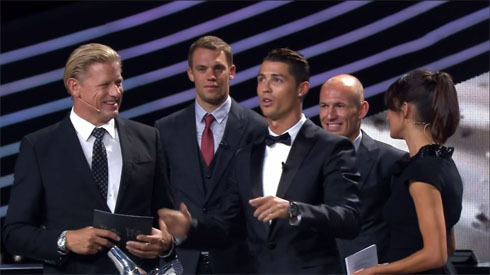 CR7: "In some extent, yes, I did. But we can't go far in life unless we're willing to do sacrifices and take risks. Perhaps in different circumstances I would have played safer, but with a Champions League title and the World Cup on the line, I decided it was worth the gamble. Fortunately, it all went well for Real Madrid and I also managed to beat the goalscoring record in the competition. During these vacations, I did no other thing but to rest my body and treat it the best possible way", assured the UEFA's Best Player in Europe during the 2013-14 season. CR7: "Sometimes it's true I do push my body to the limit, but that's what a top level athlete must do. I feel better now and I think I will improve my condition very soon. During this pre-season, I've been through a few highs and lows, which is perfectly normal with so many practices, trips and the jet-lag that comes with it. It's hard to prepare your body for a very demanding season in those conditions. Nevertheless, I believe that I'll be back to my best level in a matter of days..."
Journalist: "Ancelotti said that Real Madrid has a better team this year than last season. Having in mind the players who joined the club, Kroos, James, Navas, and the players who left, Diego López, Morata and Di María, what's your opinion?" CR7: "The answer to that question will be given at the end of the season. You can buy the best 40 players in the World and still not be able to build the strongest team in the game. I'm not saying that the new signings aren't great. They are all terrific and I'm sure they'll do everything in their reach to help the club winning even more titles. However, we have to wait for the end of the season to judge if the team did better or worse than the previous year. I'm convinced that each one of the new players will do great individually and with that, the team can only benefit from their contributes." Journalist: "After 5 years in Madrid, would you say you're tired of the comparisons between you and Barcelona's Lionel Messi?" CR7: "It's already part of my life. It's normal that people insist on comparing us, just like in Formula 1 they compare Ferrari with Mercedes. It's part of the game and I'm more than used to it. This hasn't started only after I arrived to Madrid, since people already talked about the both of us before 2009, when I was still playing for Manchester United." 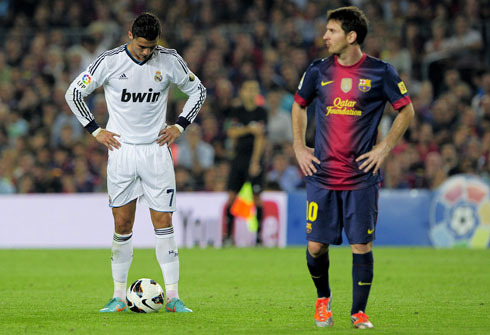 Journalist: "Over the years, the idea that passed to the public was that you and Messi didn't get along very well. Is that true?" CR7: "No, not at all. We're companions. We're professional colleagues, even though we don't exactly have any direct relationship outside the pitch, as I do have with my teammates. 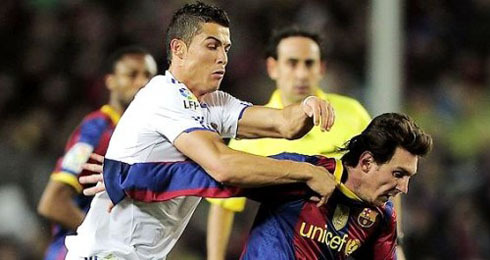 Messi tries to do the best he can for Barcelona and Argentina, just like I try to do for Real Madrid and Portugal. The only real rivalry between us that we can talk about has to do precisely with that: doing the best we can for the clubs we play for", stated the 29-year old. Journalist: "Do you think that in the future, both you and Messi will look back and laugh about everything that happened?" CR7: "I hope so! Football is just a game and it's indeed our passion. This is a beautiful sport and we're fortunate to be able to play it for so many people out there. We should embrace this rivalry with a positive mindset, because it's something that should simply be appreciated by everyone who loves this game", remarked the Real Madrid forward. Cristiano Ronaldo next game for Real Madrid will be against Real Sociedad, in their second fixture in La Liga, on August 31. You can watch Juventus live stream, Real Sociedad vs Real Madrid, Villarreal vs Barcelona, Burnley vs Manchester United, Everton vs Chelsea, and Augsburg vs Borussia Dortmund, all matches provided from our soccer live pages.